Did you know that there's a wondrous little shop in Cambridge (and another in Beacon Hill) where you can get antelope, elk, llama, and a wide variety of other exotic meats and poultry? You've probably already heard of Savenor's Market ("The Best on the Block") because it's been satisfying Boston and Cambridge's tastes for exotic meat since 1939, but this weekend was my first Savenor's experience. It certainly won't be my last. It was July 2nd, so we figured it'd be appropriate to kick off the holiday weekend with some grilling. We had already had beef and pork during the week, and I had played with some adorable chicks at work recently, so cow, pig, and chicken were all out. Joel had heard rumors of exotic meat somewhere near Dali, so thanks to some help from Twitter and Google, we quickly determined that Savenor's was the place. The Porter Square Shaw's used to have some interesting stuff - ostrich, for example - but lately it's been lacking in the exotic department. We entered Savenor's, perused the nice selection of cheeses and veggies, and then found ourselves in meat heaven. 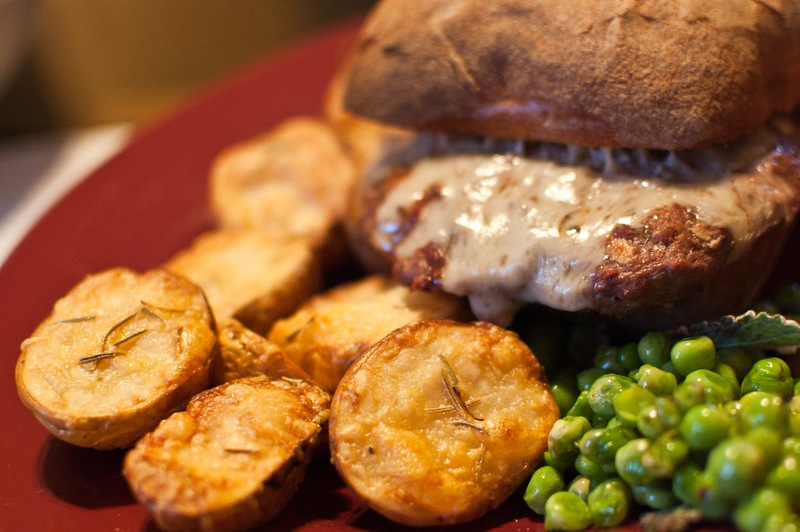 We spent some time deciding which would make the best burger: antelope or llama? (We settled on antelope.) According to reviews around the web, other animals that have stopped by Savenor's on their way to our stomachs include python, bear, lion, iguana, alligator, kangaroo, zebra, and yak, to name a few. Yes, it's on the expensive side, but would you really want to pay cheap prices for fancy meats? I'd be afraid of the source. At Savenor's, you know it's high quality. Other items include a wide range of sauces, condiments, and breads. 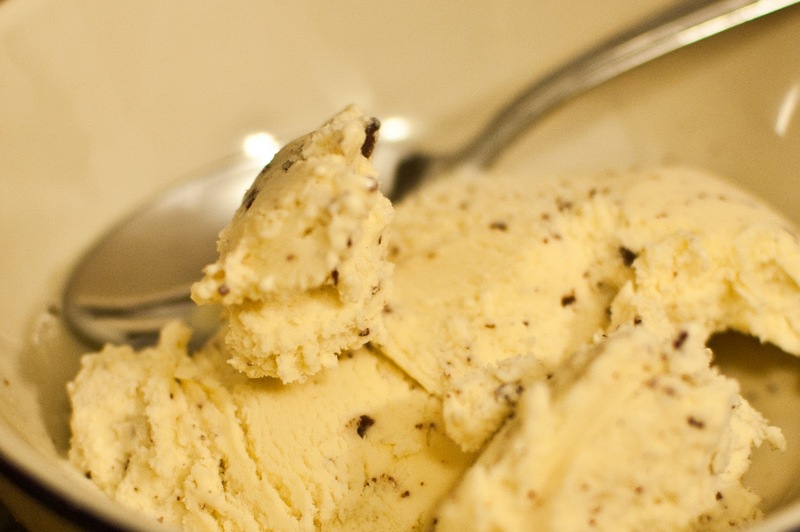 Many products are sourced locally, including the newly arrived Batch ice cream from Jamaica Plain. We picked up a carton for dessert. The Savenor's employees are friendly and knowledgeable, and the shop is clean and bright. If you're looking to impress (or maybe frighten) your dinner guests, Savenor's is well worth the price for a beautiful piece of meat, exotic or otherwise. And if you're still not convinced, go watch some Julia Child reruns. She was a very loyal customer of Savenor's. While Joel was grilling up the antelope, I prepared some sides from the Copley farmers' market. 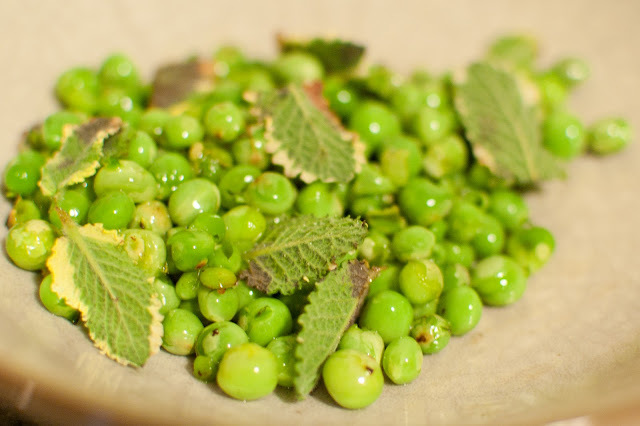 Pea season is drawing to a close! I picked up some shelling peas, shelled them, and sauteed them for just under two minutes in olive oil with a pinch of sea salt and black pepper. After removing them from the heat, I tossed them with some fresh mint leaves. I got some new potatoes, cut them in half, and topped them with grated aged cheddar from Savenor's (plus some salt, pepper, and olive oil). After baking them for 30 minutes at 350 degrees, they were nice and crispy! Joel added a bit of cumin, paprika, and mustard powder to the meat before grilling it up rare. We put the patties on nice rolls and topped them with aged cheddar cheese, both from Savenor's. The antelope meat was very beef-like, just slightly gamier. 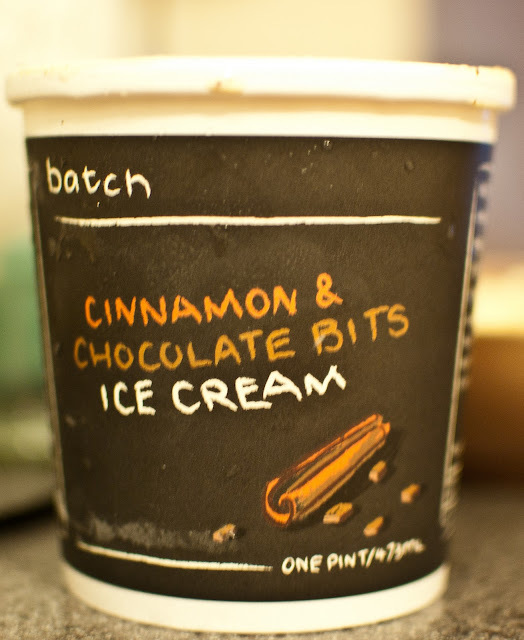 I've heard such good things about Batch ice cream, so when we saw it at Savenor's, we were compelled to buy it. Batch is made from scratch by two women, Susie and Veronica, in JP, using local, Fair Trade ingredients, one batch at a time. We greatly enjoyed the cinnamon & chocolate bits flavor, which was creamy and refreshing. We were very satisfied with all aspects of this dinner. In fact, from now on, we're hoping to have some friends over on a monthly basis for exotic meat nights featuring delicacies from Savenor's! What's the most exotic meat that you've eaten? Where'd you get it? What's the strangest thing you've ever purchased at Savenor's? Are there any other places in the Boston area that sell exotic meats?